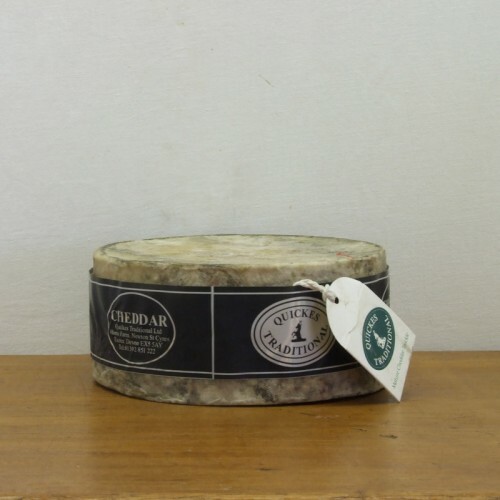 A traditional cheddar presented in a 1.8Kg cloth bound truckle. The complex nutty, fruity flavours you would expect from an exceptional cheese maker like Quickes are all here. A stunning gift for a cheese lover.